Just wanted to dash out a quick post about problems I had with a recent Firefox upgrade. I would like to add that I am a loyal Mozilla Firefox user and although I do have Safari (it came with my Macbook Pro) I never use it except when needs must. 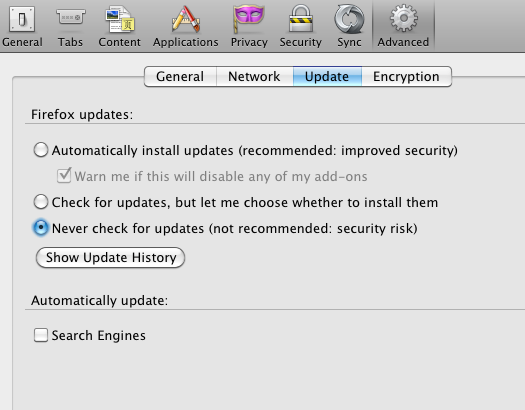 Anyway I upgraded to Firefox 14.0.1 after being prompted by the usual message about security and stability and so on. And after restarting and all that jazz, I found that half the sites I usually use (e.g. youtube.com) at wouldn’t load and the rest (e.g. Google) were so slow that you could go away and make a cup of tea between each new page. So clearly something was amiss. I have actually never had this sort of problem with Firefox, even back on old Windoze. At first I thought it might be my network running slowly or the website servers being down, but when fired up Safari everything worked fine. So clearly it was a Firefox problem. After reading various posts (which didn’t really help) I decided to just try a few things and see if I could fix it myself. I tried deleting all my cookies and history, rebooting the system etc but nothing changed. So I decided to uninstall and reinstall a previous version. For the record I installed Firefox 13.0.1 and it is working like a charm (so far anyway). 1.) Mozilla will try to dissuade you from installing a previous version as it is not as secure as the most recent version. However, I have not had any problems. 2.) “b” means beta, these are often unstable so it’s best to go with the most recent of the previous stable versions e.g. in my case I downgraded to 13.0.1. 3.) Make sure you uninstall your current Firefox before installing an older version. If you are using a Mac just drag the Firefox icon from the Applications folder to the Trash. You’ll probably have to authenticate this unless you’re Admin. Then from the Star button you can either Backup or Export Bookmarks to HTML. I usually do both just in case. Although this may all seem obvious, I’ll just run through the uninstall/install process quickly. 1.) 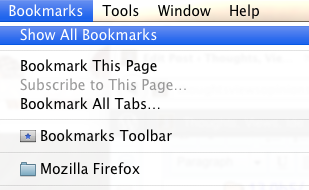 To uninstall Firefox (in OS X) simply open your Applications folder and drag Firefox to the Trash. You should empty your Trash before installing a previous version to avoid potential problems. 2.) Download the version you wish to install from this page. 3.) 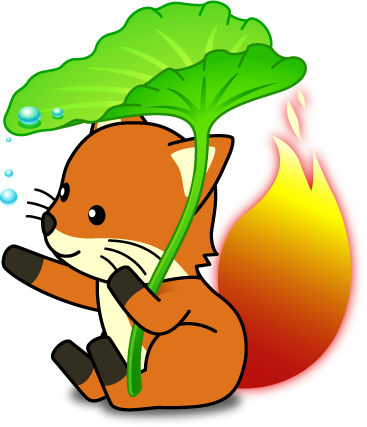 Open the .dmg and drag Firefox into your Applications folder. You will need to authenticate this if you are not Admin. 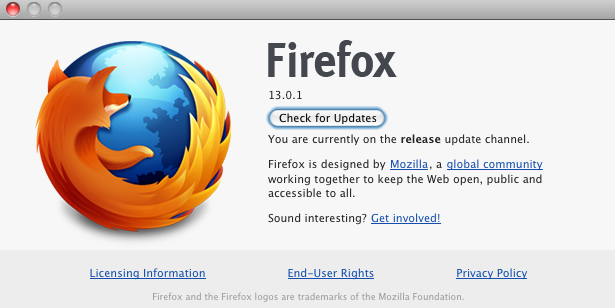 To update Firefox manually simply go to Firefox > About Firefox > Check for Updates.